I have owned Adam since his was 6. He is now 12 in April 2013. During 2012 he started to go down hill rapidly. Rearing, bolting in the school, napping and scowling whilst being brushed. This was so out of character for my boy, i decided to get him really checked over by a vet. Unfortunately the first vet who saw him did not think kissing spine was his problem, and it wasn't until he really started to be quite dangerous, that i called in a second opinion. He was refereed in September 2012 for scans on his spine. 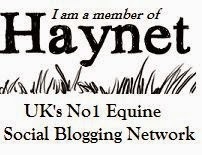 He was dragging his right hind leg behind him whilst being ridden and constantly went disunited on the right rein in canter. 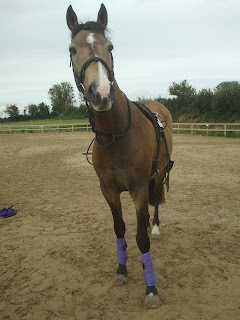 As well as the rearing every time i asked him to bend right. My next step was to inform my insurance company of what my next step was. My vet refereed me to Sven Kold from B and W equine clinic in Gloucester. I'd heard really great stuff about this guy so knew i was probably going to be looked after! So i had Sven kold visit my local veterinary clinic and he scanned him again. Unfortunately it was a lot worse than i thought and he actually had impinging dorsal spinous of T13, T15 and T17. Not alot could of prepared me for that news! He told me there was no point in injecting as he was too far gone and too severe. So he suggested surgery. I hadn't made myself think about this situation until l was in it...so i had alot of thinking to do! My gut told me to go ahead with the surgery. So i called B and W on the monday, and booked him in for 2 weeks time. Giving me the time to organise transport etc. His rugs were cleaned and gutted his stable ready for him to come home to. Luckily a old friend and riding instructor offered to take me up, this lessoned my stress! She's a very chilled person to be around, thank god. He travelled up on the monday to be operated on sometime tuesday. I kept doubting myself and going a little bit insane about whether i was doing the right thing and i was sure things kept telling me i was wrong! On the way up to Gloucester, our 3 hour journey actually took 7 hours up and 3 hours back after a flat tyre 15 mins away from home. Gutted. 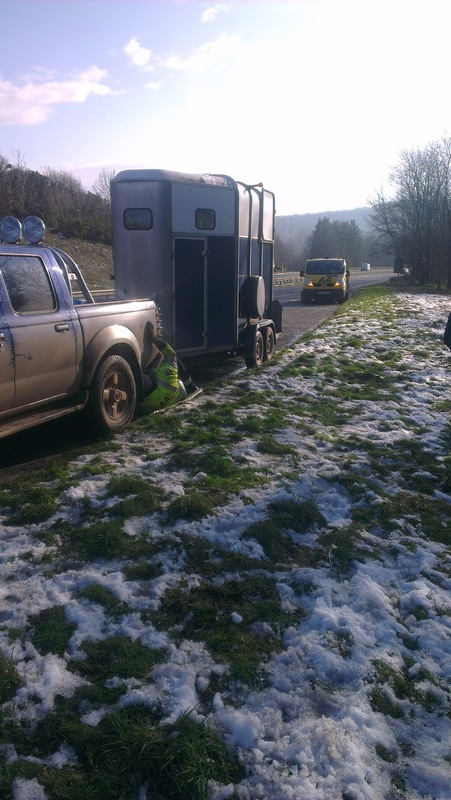 so Adam sat on the A38 in the snow waiting for recovery for a good 3 hours! He was a complete star! 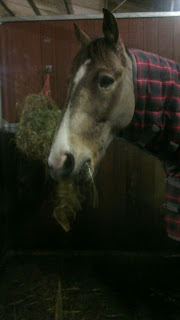 Finally got there and said our good byes, he was very tired and relieved to be somewhere warm and cosy!